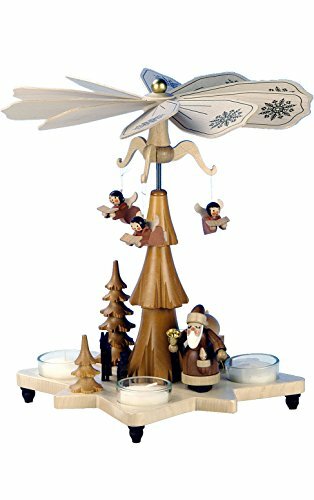 This pyramid from Ulbricht/Seiffener has Santa and a choir of angels flying overhead while he delivers his packages - Made in Germany. Tea candles provide the energy to turn the paddles. It's a lovely piece to place on your table anytime of year.